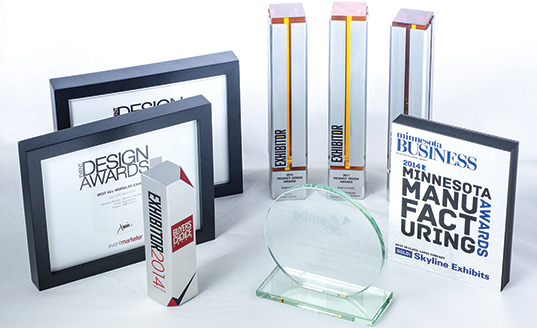 Skyline has won awards for product design, innovation and exhibit design. 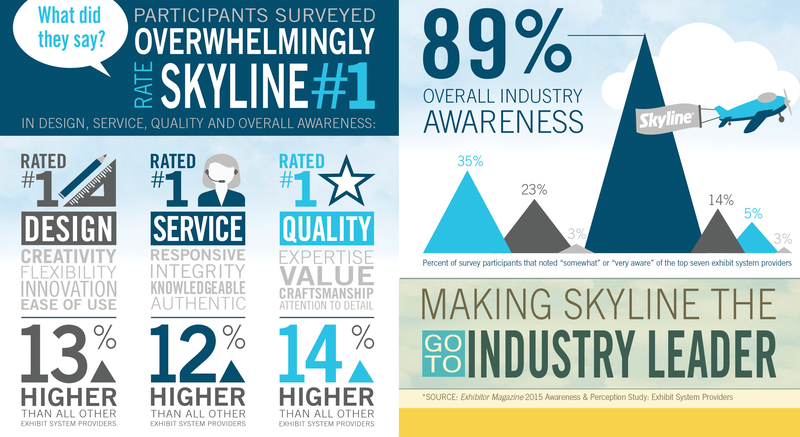 In 2014, Skyline won a Buyers Choice Award for the design of WindScape, the world’s first air-powered exhibit system. Beyond design, Skyline also won a manufacturing award having been named the Gold Winner for Large Companies in the 2014 Minnesota Manufacturer Awards. 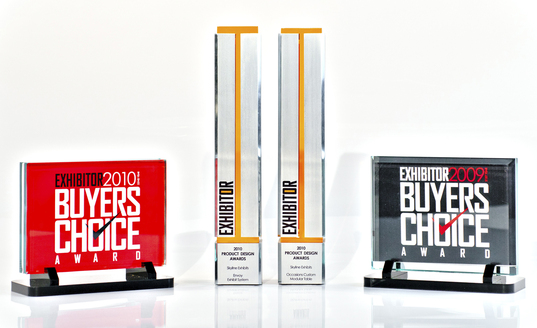 The EDDIE Award recognizes how well the exhibit builder and industry supplier promotes their company to exhibitors and others in the industry. Over the years, Skyline has been recognized many times for its outstanding product design. It has won multiple EXHIBITOR Magazine Buyers Choice Awards, which recognizes the best new products at EXHIBITOR Show, the biggest event in the trade show industry. Since its inception in 1980 Skyline has been a design leader in the exhibit industry intent on creating products that helped exhibitors exhibit easier, better, more efficiently. 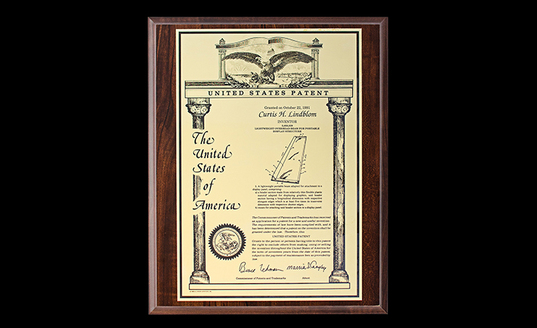 Currently, Skyline holds more than 100 patents and continues to aggressively develop products to answer the evolving needs of today's exhibitor. 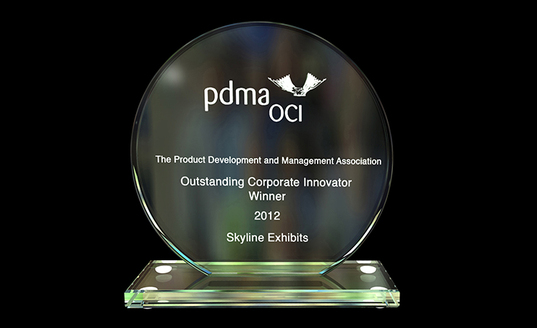 In 2012, Skyline Exhibits won Product Development and Management Association’s coveted Outstanding Corporate Innovator (OCI) Award. The OCI is the only global innovation award that recognizes companies for demonstrating sustained and quantifiable success in developing new products and services. Past OCI Award recipients include some of the largest, most recognizable brands in the world: Apple, Bausch & Lomb, BMW, Chrysler, Dow, FedEx, Harley-Davidson, Herman Miller, Hewlett-Packard, Merck, PepsiCo, Xerox and a host of others.